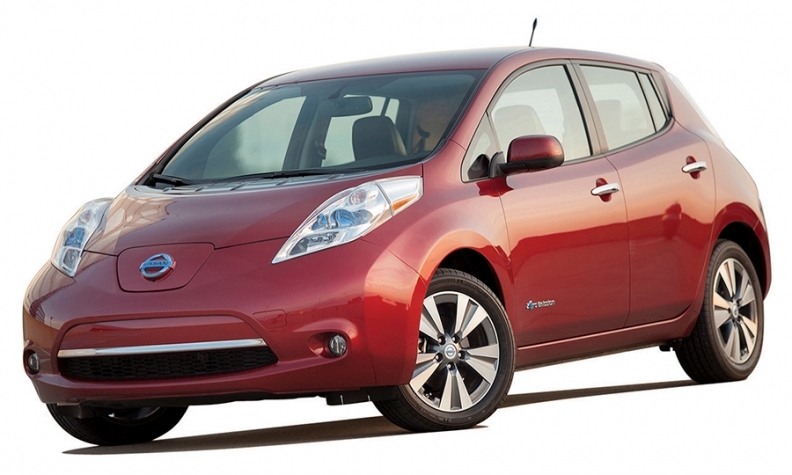 The battery-powered Nissan Leaf satisfies California's ZEV requirements. "I really don't believe by 2030 we're going to be able to get a really large market penetration with pure EVs." 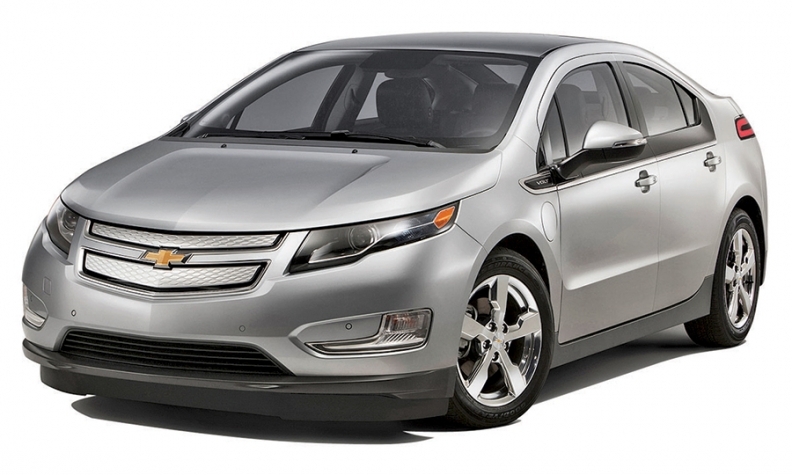 ZEV debate: How many credits for Chevy Volt? Large automakers must sell electrified vehicles in California to satisfy zero-emission vehicle requirements. But most electrified powertrains on the market are plug-in hybrids, which earn fewer credits than fuel-cell EVs or conventional battery EVs. Here are current and planned products through 2016. SAN FRANCISCO -- Carlos drives 10,000 miles a year in his electric Nissan Leaf and burns no gasoline. Mary drives 12,000 miles a year in her Chevrolet Volt, using electricity for 9,000 miles and burning gasoline for the remaining 3,000. How much credit do Carlos and Mary deserve? This sounds like a high-school algebra question, but here in California -- where state law requires automakers to sell a certain number of zero-emission vehicles -- it's becoming a tough political and ideological one as well. By 2025, an estimated 15 percent of new vehicles sold in the state would need to be ZEVs. But as California reviews its rules, officials are divided over how to treat the growing crop of plug-in hybrids, which run on battery power but use a gasoline-powered engine as a backup. The decision comes down to how the state will balance its desire for cleaner air with customers' desire for a practical way to get around. State regulators want to prod automakers to develop the vehicles that California needs to shrink its carbon output. But the strategy works only if customers are willing to buy those vehicles. Ford, General Motors, Honda and Toyota, worried that they'll need to offer large incentives to sell their share of ZEVs, are pushing California to rewrite its formula to offer more credit for plug-in hybrids such as the Volt. In a complaint to the California Air Resources Board, they argue that these vehicles address range anxiety and are more likely to be accepted by customers in the short run. "What we don't want is to make the perfect the enemy of the good," Robert Bienenfeld, senior manager for environment and energy strategy at American Honda Motor Co., said in an interview. Hundreds of millions of dollars are at stake because companies that fail to satisfy California's rules will be compelled to write checks to companies that sell more ZEVs than required. The complaint has opened a small rift within CARB, which oversees the ZEV rules. During a hearing in the fall, Honda and its three allies called for a new formula based on electric vehicle miles traveled, or e-miles. They pointed to a 2014 analysis by the U.S. Department of Energy's Idaho National Laboratory. Researchers crunched data from 21,600 EVs and plug-in hybrids and found that Volt owners were averaging 9,112 e-miles per year, just shy of Leaf owners' 9,697 e-miles -- even though the Volt can go only half as far before running out of battery power. Switching to an e-miles formula would be fairer, the automakers said, because it would reward vehicles based on real-world performance, not underlying technology. Automakers have taken the position that regulators should set policy goals in terms of emissions lev-els but let the industry determine the technology that can best meet those objectives. Nissan says it's open to credits based on e-miles, as long as Nissan's rivals aren't trying to weaken the program. Dan Sperling, a CARB member and director of the Institute of Transportation Studies at the University of California-Davis, said during the hearing that he's sympathetic to the e-miles argument. He said he would rather have two plug-in hybrids on the road than one all-electric vehicle. "I'm willing to make a bet with you," he told CARB Chairman Mary Nichols. "If we provided a more flexible approach, we are likely to get far more e-miles in 2030 than we would with pure EVs. I really don't believe by 2030 we're going to be able to get a really large market penetration with pure EVs." Nichols shot down Sperling. California has a goal of cutting its carbon emissions 80 percent from 1990 levels by 2050. To do that, the fleet would need to be fully electric, Nichols said. Not even plug-in hybrids would be acceptable. But she said she is wrestling with the best way to reach that goal. "I don't know where you would find a better example anywhere in the world," she said, "of a public deliberating body struggling with a really big issue." As the state mulls its options, companies such as Honda feel the pressure. Honda has been no slacker in seeking to cut carbon emissions. It raced to sell America's first hybrid in 1999, beating the Toyota Prius by a year. Honda also was first to lease a hydrogen-fueled car, the FCX Clarity, in 2008. But its first foray into all-electric cars, the limited-run Honda Fit EV, was a dud. Honda sold just 1,069 of them between 2012 and 2014. "The way the auto industry works is: When you have something that's really good, people flock to it. You can see that there's appeal to your technology," Bienenfeld said. The Fit EV, he added, "has been a tough slog." Plug-in hybrids such as the Honda Accord Plug-In Hybrid might be more palatable in the short term because customers can go on road trips without worrying about where to charge along the way. Simon Mui, director of clean vehicles at the Natural Resources Defense Council, an environmental group, warns that giving too great a reward to plug-in hybrids might harm California's long-term goals by stalling development of all-electric vehicles. "Right here, right now, this year, your Volt may be getting as much electric mileage as my Leaf," Mui said. "But if automakers stop short of developing longer-range EVs, what does that mean for our long-term goals? There are some open questions."